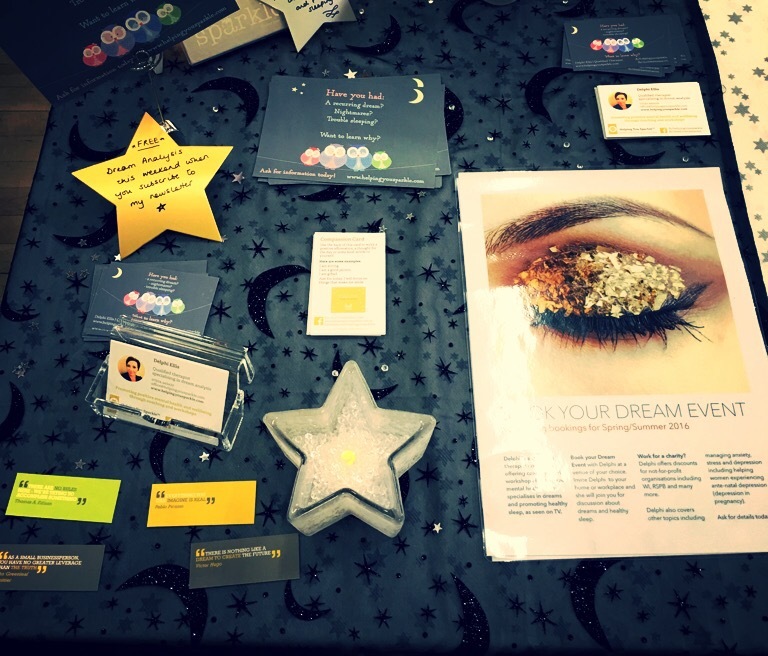 I recently exhibited at a Mind, Body and Soul fair, locally. One of the things I love about these events is how peaceful, calm and serene they often are. It’s as if you step into another world, a place of tranquility for a couple of days, leaving the hustle and bustle of busy-ness behind you. There was music playing softly in the background, very reasonably priced home-made food for sale, and everyone – and I do mean every one – of the exhibitors (including me) wore a smile. We were glad to be there to spread a little sparkle, talking about the things we love doing for a living. 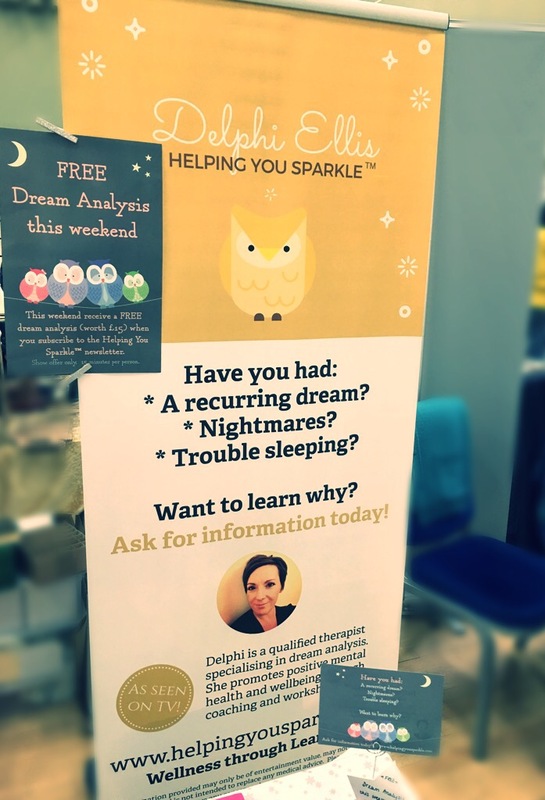 Now before you might think these places are a money trap, I was offering ethical dream analysis for free all weekend, with an option for visitors to sign up to my (free) mailing list with (free) access to the members area of my website where you can download (free) resources designed to help you sparkle. Other exhibitors were selling very reasonably priced items, including hand crafted cards, jewellery and artwork. Yes we were there to promote our businesses but there was an overwhelming feeling that we would – and did – approach that ethically and with the visitors interests at heart. Attending these events is a great way to meet new people as well as talk about the things you love. I’m looking forward to the next one already.